Customers can now check repair status from your website via RepairDesk's Repair Tracker Widget by entering their ticket ID & Last Name. 1. 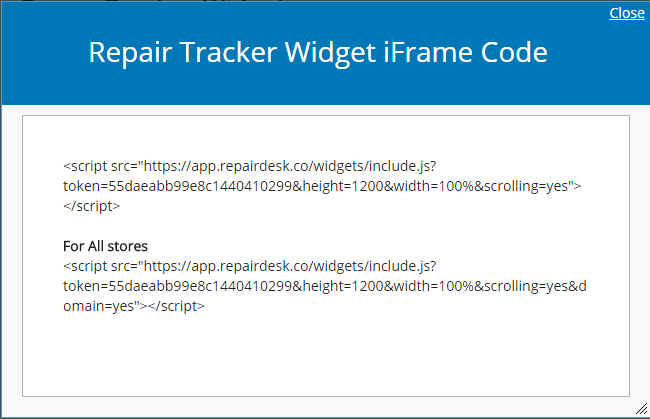 Create a web page on your website where the Repair Tracker Widget will operate. 2. Go to Settings >> Integrations >> Repair Tracker in RepairDesk. 3. Click on the highlighted area in the screenshot ("Click Here" link) to generate the iFrame Code. That's it. Now your customers can track repair status by entering Ticket ID and Last Name. 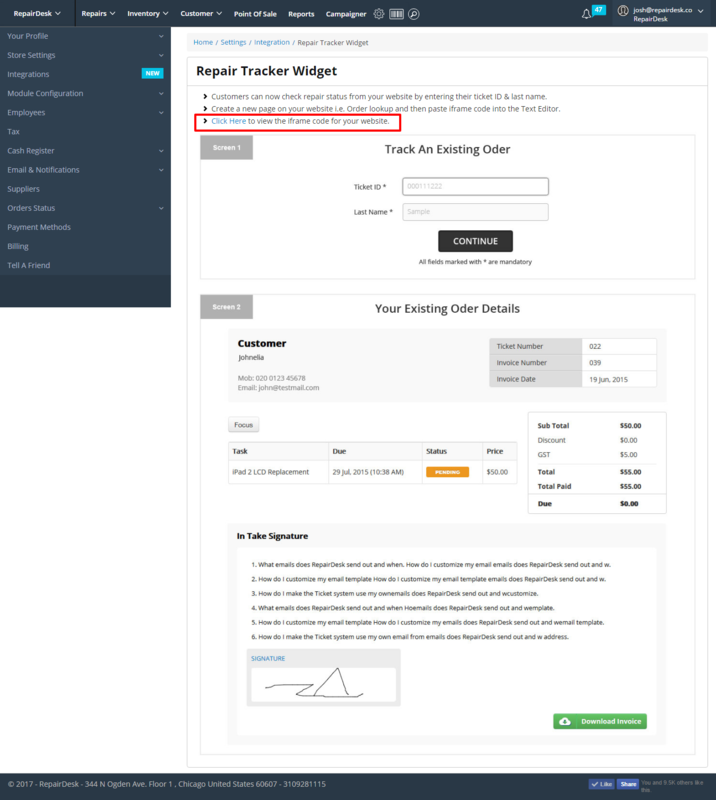 We advise all customers to add repair tracker link on ticket receipt footer. 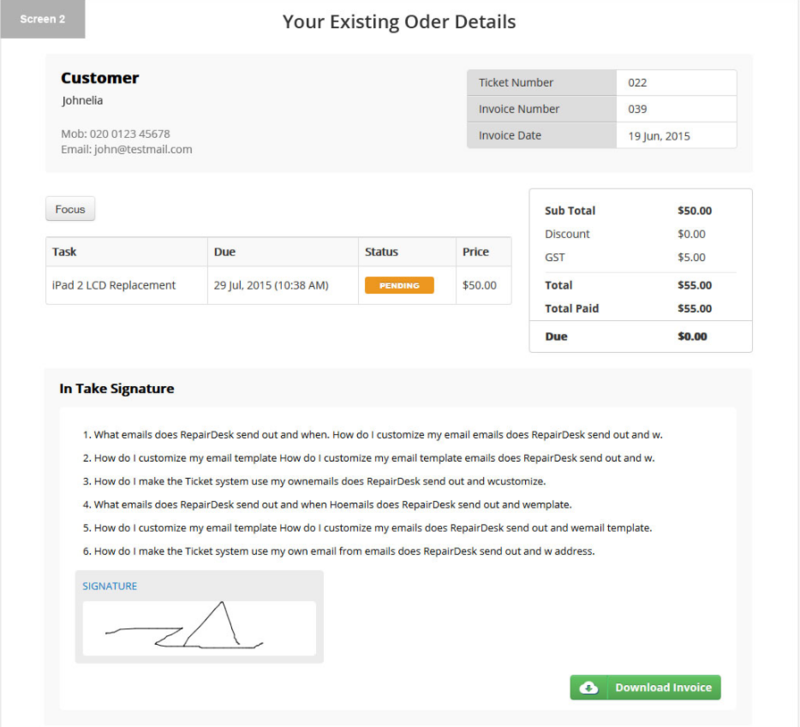 Customer will also have the option to download the above invoice in PFD format. Note: Multi store users can create multiple pages on their website and place iFrame code as shown on this link.